Find out which version you should buy after learning the differences between Pokémon: Let's Go, Eevee and Pikachu. If you’re trying to decide which version of Pokémon: Let’s Go, Eevee and Pikachu to buy, you’ll likely want to know the difference between the two. Aside from having a different buddy Pokémon accompany you on your journey (Eevee or Pikachu), there are slight variations that make each version unique. For example, there's a list of Pokémon that are exclusive to each version and Specials that can only be learned by Eevee or Pikachu. To help you figure out which version to buy, we’ve put together a guide on the difference between Pokémon: Let’s Go, Eevee and Pikachu! Below, you'll find the differences between Pokémon: Let's Go, Eevee and Pikachu! When it comes to the difference between Pokémon: Let’s Go, Eevee and Pikachu, the most obvious one is the main Pokémon you’re given. 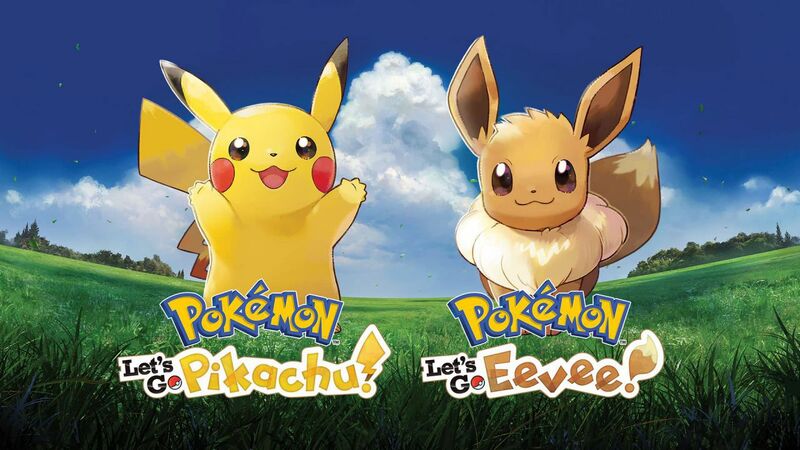 As their game name suggests, Pokémon: Let’s Go, Eevee comes with Eevee as the main starter Pokémon whereas Pokémon: Let’s Go, Pikachu comes with (you guessed it) Pikachu. Aside from this, there are Pokémon that are exclusive to each version. If you want to catch a Vulpix in the wild, you’ll want to purchase Pokémon: Let’s Go, Eevee. Meanwhile, if you want to catch a Sandshrew, be sure to pick up a copy of Pokémon: Let’s Go, Pikachu. 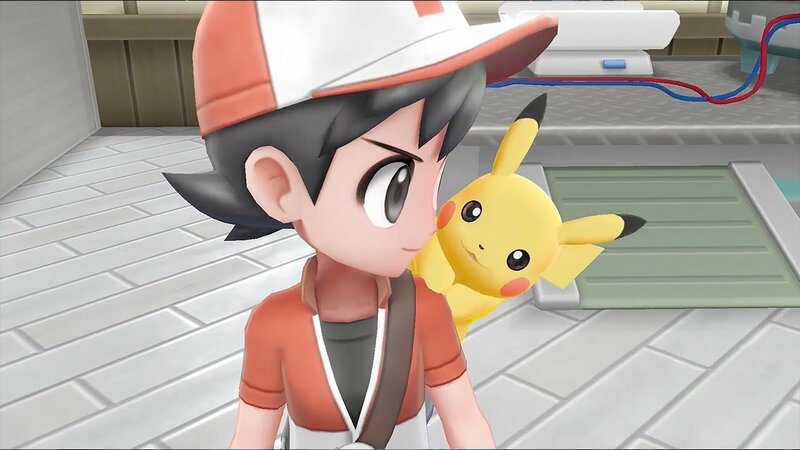 Below, you’ll find lists of Pokémon exclusive to each version of Pokémon: Let’s Go, Eevee and Pikachu. Pokémon like Growlithe and Sandslash are exclusive to Pokémon: Let's Go, Pikachu. Another difference centers around the Specials each Pokémon can learn. If you want a Pokémon with more options in terms of Specials, you’ll want to buy Pokémon: Let’s Go, Eevee. Of course, if you want a powerful Electric type with the ability to add Water and Flying moves, grab a copy of Pokémon: Let’s Go, Pikachu. Below, you’ll find the Specials exclusive to each version of Pokémon: Let’s Go, Eevee and Pikachu. You can learn more Specials like Glitzy Glow and Freezy Frost in Pokémon: Let's Go, Eevee. Which version do we recommend? Well, we had a hard time deciding at first. After comparing the list of exclusive Pokémon and exclusive Specials (and keeping in mind that you can catch both Eevee and Pikachu in both versions), we ended up purchasing Pokémon: Let’s Go, Eevee. That said, in the end, it'll all boil down to which version appeals to you more based on personal preference. So, are you Team Eevee or Team Pikachu? Let us know down in the comments below! For more on Pokémon: Let’s Go, be sure to check out some of our previous guides including all Berry types in Pokémon: Let’s Go, where to get all three original starter Pokémon in Pokémon: Let’s Go, and who your Rival is in Pokémon: Let’s Go. By reading through this guide, you should now know the difference between Pokémon: Let’s Go, Eevee and Pikachu!